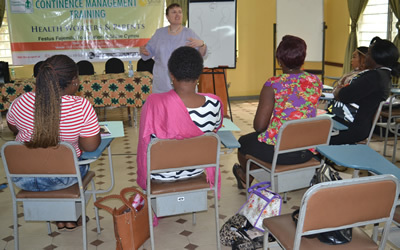 Continence management programme is continuously celebrated as one of the most important ways of improving the inclusion of children with spina bifida in any society. The children identify this programme as a turning point in their lives, enabling them to have friends, enjoy education and becoming accepted in their community. 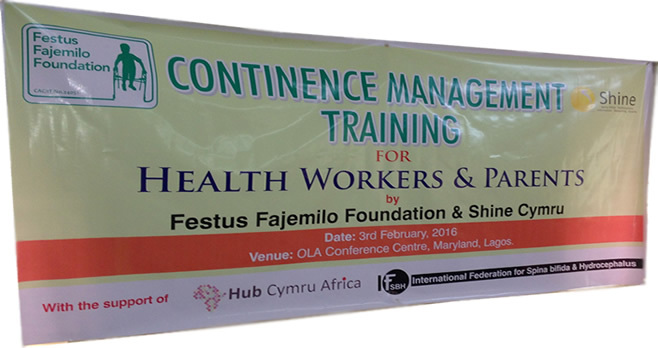 The Foundation commenced continence management project in Lagos in 2016 following a Commonwealth Fellowship programme in the UK by 3 FFF’s staff hosted by our partner organization – Shine UK. 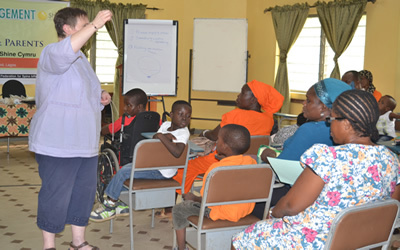 Prior this period, children with spina bifida do experience complications arising from bladder and bowel incontinence resulting to the untimely death of some of them. Those who survive, live with attendant social and educational challenges. 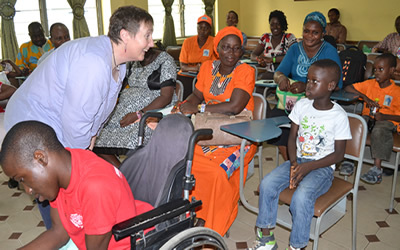 The on –going project started with a visit by a specialist continence nurse from Wales with a grant of £2,500 provided by Wales for Africa Hub and the supports of Shine UK and IFSBH Belgium. The visit provided a pilot training for both health workers (nurses) and parents. An outcome from the visit is the commencement of pilot continence clinic in Lagos University Teaching Hospital (LUTH). Findings from the scoping visit have led to the opportunity of securing another grant of £20,890 from Wales for Africa in its 2017 grants programmes for sustainability of the project.